FEATURES: IAP2 USA President Leah Jaramillo - become a Board member; celebrate the first recipients of the Greater Good Award; and here’s an opportunity for you to help select the next Core Values Award winners! If you're a student with an interest in P2, our scholarship can help you pursue that field, and if your Social Media Savvy is #confused or #TMI, you'll want to read the latest White Paper! You may also catch one of the "quotable quotes" from the 2017 North American Conference as well! EVENTS: The October Learning Webinar featured the winners of the IAP2 Core Values Awards for Organization of the Year in the USA (San Francisco Municipal Transportation Agency) and Canada (Burlington, Ontario); coming up November 7, it’s the turn of the Project of the Year winners -- Mental Health Center of Denver and the City of Calgary; the next Skills Symposium takes us deep in the heart of Texas; and we can announce the theme for the 2018 IAP2 North American Conference in Victoria, British Columbia -- and the Call for Session Submissions is right around the corner and volunteers are needed for sub-committees! INTERESTING LINKS: You’ll find a piece on the role of engagement in a troubled democracy; discussion of a more collaborative model for public schools; and an invitation to contribute to the US Government’s Public Participation Playbook. Read up on the process in the Nominations Information package, and fill out the Board Nomination Application by 4:00 pm Pacific, Friday, November 3, 2017. The hard work that ensures the people have a voice in things that affect them is often unsung. The Core Values Awards recognize the achievements of organizations through a particular year. Now comes the Greater Good Award, which recognizes bodies of work by individuals. 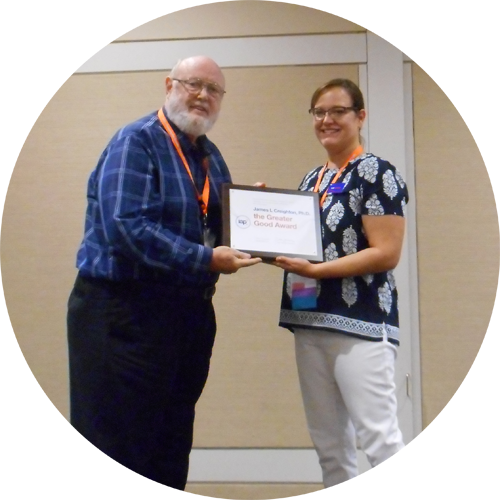 Selected by the President after reviewing nominations from members, the first of these awards were announced at the North American Conference in Denver in September. Jim Creighton told the Conference-goers how the idea for an International Association of Public Participation Professionals was cooked up during a taxi-ride in Cincinnati in the late 1980s, when he and some colleagues bemoaned a lack of standards and consistency in public participation. By then, Jim was already a veteran in working to make sure people have a voice in important decisions, having worked as an independent consultant in the field since 1972 and published The Public Participation Manual in 1981. Since then, he has published countless books and other resource material, and taught, mentored and collaborated many other professionals in the field. His projects have taken him all over the world, and among his accomplishments was the establishment of Alternative Dispute Resolution principles with the US Army Corps of Engineers. ADR has helped the Corps avoid countless lawsuits, and earned the Corps the Vice-President’s Hammer Award for its support in reinventing government principles. You can read a comprehensive overview of Jim Creighton’s contribution to P2 in the nomination form or watch his acceptance speech. 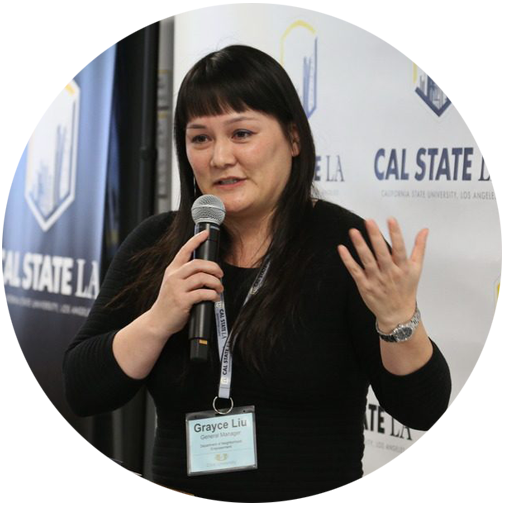 In the words of one of her co-nominators, Grayce Liu “seems to be everywhere when it comes to forwarding the goals of genuine participation.” As General Manager of the Los Angeles Department of Neighborhood Empowerment, Grayce is responsible for supporting the 97 Neighborhood Councils in the city. Among her duties is to streamline processes so these all-volunteer elected councils can better interact with City Hall. On her watch, staff have been trained in compassionate communication, she piloted online voting for Neighborhood Councils to increase inclusivity, co-chaired “Google Angeles Lab” -- the Google Innovation Lab on Civic Engagement -- and was part of a national working group on Inclusive Innovation for American Cities, creating a how-to booklet for cities on how to be inclusive while innovating. She is currently working on creating an Office of Civic Engagement, to educate City departments and create a culture of P2 with the City. Grayce is also a co-founder of the emerging Southern California Chapter of IAP2 USA. 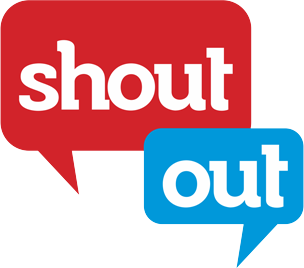 You can read all about her qualifications for the Greater Good Award! Unfortunately, Grayce was unable to come to Denver to accept the award in person, but you can watch her acceptance message online. IAP2 USA values our student members. We offer several programs including our Student Scholarship Program, discounted rates to Training across the US & online, and access to our Mentorship program. We would like to announce that we are opening applications for our 2018 Student Scholarship! This scholarship is for IAP2 USA Student Members currently enrolled either part-time or full-time at an accredited US College or University. One student will be selected for an an award of $1000. They may use the sum for cost of tuition, living expenses, or training opportunities. The deadline for application is January 15, 2018! Do you know a student who would benefit from this scholarship or IAP2 USA’s programming? Share this opportunity with them! Are you interested in the state of P2 in Canada? IAP2 Canada’s Research Committee has released its latest State of the Practice Survey, which follows-up on an earlier work done in 2013. In all, the survey paints a very positive picture, finding, among other things, that more organizations are rated “high” for their adoption of P2, and that while “Managing Conflict” is still the top priority for practitioners, “inclusion” has gained greater importance. You can read the full survey, and watch a special webinar with Sherif Kinawy and Sherry Campbell of the Research Committee. 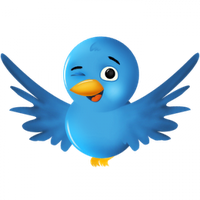 Do you find yourself a bit overwhelmed by all the social media and digital options now available in the P2 field? Internationally-known P2 practitioner and trainer Susanna Haas Lyons -- who has taught at the IAP2 USA Skills Symposiums and Online Training courses -- has produced a White Paper for the IAP2 Canada Research Committee that looks at the what, how and even the whether involved in social media and P2. Are you interested in learning more about this topic? Susanna Haas Lyons will be joining us in Austin, Texas offering Skills Symposium courses Social Media & Public Participation, and Evaluating & Measuring Public Participation. Early bird discounts end Friday, December 13, 2017. Check out other 2018 Skills Symposium Courses! WANTED! Core Values Award Judges! Do you love P2 and its Core Values? Do you love rewarding excellence in the field? If you can devote 20 to 40 hours a year over a three year term we have a job for you! Judging the annual IAP2 USA Core Values Awards! Diversity of experience, so panel members represent a wide range of topic areas, like transportation, health care, environmental protection, immigration, etc. Representation from the non-profit sector or a community-based organization. Find out more about the Core Values Awards, and download the latest IAP2 Showcase, which lists this year’s Core Values Award winners from around the world, including IAP2 USA Core Values Winner Mental Health Center of Denver - "The Dahlia Project" . Do you have questions? Contact ameliaiap2usa@gmail.com. A skeptical -- even hostile -- public was slowing up large and expensive projects with protests and litigation. A “toxic culture” was identified at another City Hall that was causing a threat to a stellar civic image. These were situations faced by the 2017 IAP2 Organizations of the Year for the USA and Canada -- the San Francisco Municipal Transportation Agency and the City of Burlington, Ontario. How did they overcome those situations? What can you learn for your organization -- whatever your organization happens to be? 2017 Core Values Award-Winners – Project(s) of the Year! When big plans threaten to clash with community needs, the result can be disastrous -- or glorious! Our November webinar (Tuesday, November 7 at 11am Pacific / 2pm Eastern) features the Projects of the Year from the USA and Canada. The Mental Health Center of Denver (MHCD) set out to build a new outreach location in an economically-disadvantaged area of the city, and in the process, sat down with local leaders -- including gang members -- to determine what the community needed and how it can be met. MHCD also went on to win the IAP2 Federation Core Values Award as Project of the Year, announced earlier this month in Australia! The City of Calgary had to slam the brakes on a plan to improve a major transportation corridor when members of the public got up in arms over not being consulted. The re-vamped project -- with an 18-member engagement team on the job -- has proven to be a winner with both the people and the City. Read about MHCD’s winning project in the just-released 2017 IAP2 Showcase! Here’s another chance for you to learn from the best! Bring your questions, comments and especially your notebooks to our webinar on November 7, 2017. When you design a P2 process, do you obsess on the end result -- like, how well it’s working? Do you need a refresher or deeper learning on facilitating meetings? Once again, we’re excited to offer an opportunity for you to increase your knowledge in a collegial atmosphere, at the IAP2 Skills Symposium, February 27 through March 3, 2018 in Austin Texas! It’s a five-day plunge into a variety of courses on P2, at the Commons Learning Center at the University of Texas in Austin. 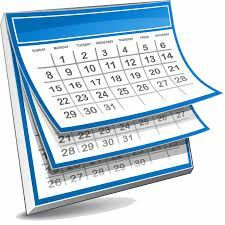 Check out the Schedule-at-a-Glance here -- sign up before December 13, 2017 and get the special early-bird rates! Any path you take is a good one... as long as it leads to Victoria! With barely time to breathe after the successful IAP2 North American Conference in Denver, work is already underway for the 2018 North American Conference, Sept 5 - 7 in Victoria. Time now to think about the theme -- “Growing a Culture of P2” -- and start making plans to come to the coast. Registration will open in December and the Call for Submissions will be issued in January, so watch your inbox and the Conference website for more information. So NOW is the time to convince whoever you need to convince that you need to be at this Conference! But what sessions will be on offer? The Call for Submissions will come out in December or January, so watch your inbox and the Conference website for that announcement. Consider becoming a conference volunteer! One of the reasons these conferences are so highly rated is because we have people who are in the thick of it telling us what you as practitioners want to see and need to learn about. You hold the key to a great conference! SPONSORSHIP COMMITTEE: secures sponsorship revenue and in-kind support. Your role starts with the development of a sponsorship package and carries through to contacting and encouraging sponsors. Job Description and application. PROGRAM COMMITTEE: ensuring a great program. Your role starts with the call for submissions and carries through to the selection of session presenters. IAP2 Canada staff is responsible for the implementation. Job Description and application. Interested? Check out the job description and submit your Expression of Interest (see link at the end of each job description) by November 18, 2017. 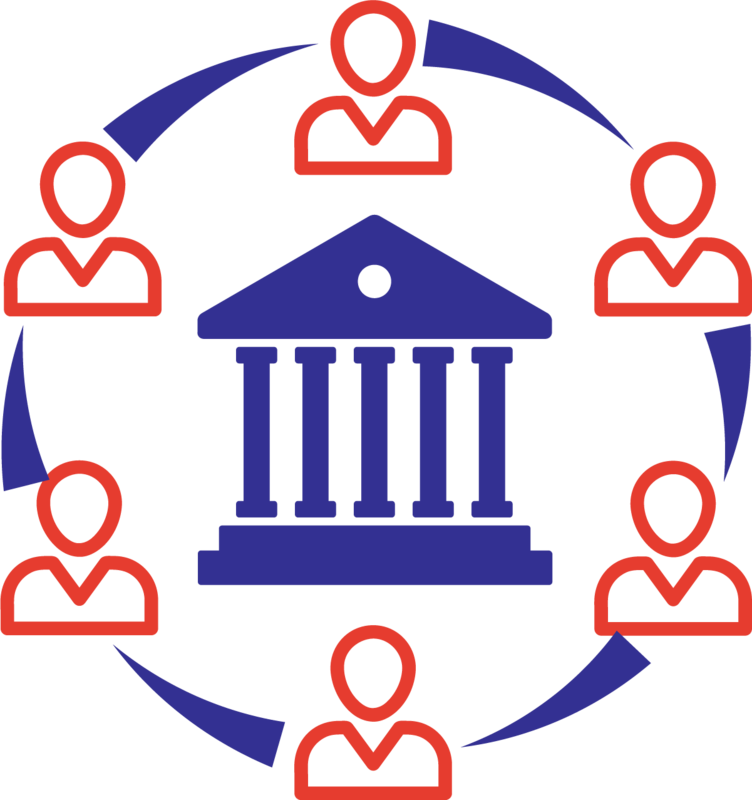 Are you an IAP2 USA Government member? You are invited to join us on November 29th, 2017 from 1:00 PM - 2:00 PM Pacific to learn about Telephone Town Hall Meetings (TTHM). During this hour long webinar you will explore what it is, why a municipality would use it, consider how it might work for you, and how the City of Longmont uses TTHM in its engagement practices. 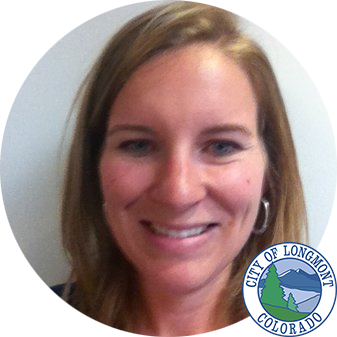 Erin Fosdick is a Principal Planner for the City of Longmont. Erin earned her Masters of Urban and Regional Planning from the University of Colorado Denver in 2007. Erin has 15 years of local and regional planning experience and has been with the City of Longmont’s Planning Division for 12 years. In her work with the City, she specializes in long range planning and focuses on implementing the Envision Longmont Multimodal & Comprehensive Plan, which is the City’s guiding policy document. She is also an active member of the City’s Community Involvement Steering Committee, which is a cross departmental team that provides support in planning, facilitating and achieving success in processes that involve the community. Ian Cerveny is the Operations Director at TTHM. Ian coordinates with clients in advance of their teletownhalls to make sure that all of their outreach goals are identified and met during their (typically) hour-long event(s). 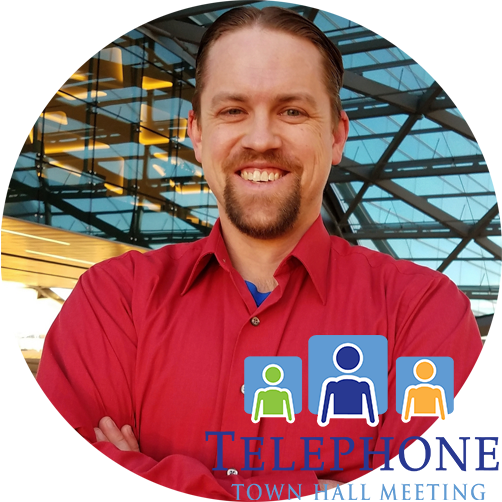 Ian coordinates teletownhalls for municipal and advocacy clients nationwide, often producing events for a live audience while simultaneously broadcasting to phone, web and Spanish-speaking audiences. From Atlantic Monthly -- one person’s perspective on how citizens can be meaningfully engaged in a troubled time for democracy. From Psychology Today -- a differentiation among levels of “feeling for” one another. From Medical Press -- results of a study by the Karolinska Institute in Sweden into the role popularity plays in the “moral compass”. From the Victoria Times Colonist -- a local mayor and a First Nation Chief team up to address “stereotypical” thinking among schoolchildren. From the Tri-County Vanguard -- the city of Yarmouth, Nova Scotia, launches a public engagement portal. From the Vancouver Sun -- the Province of BC announces public consultations on recreational use of marijuana. From the Kingston (ON) Herald -- the City of Kingston follows Burlington’s lead, setting up a Public Engagement Charter. From Public Agenda -- evidence that a more collaborative school environment does lead to better education. Wed, Dec 12 - IAP2 Monthly Webinar - Denver Encore - Beginning with the brain in mind. 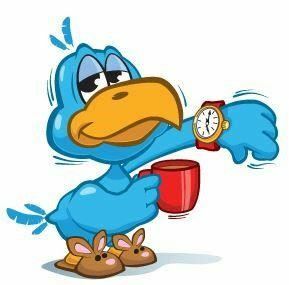 Wed, Dec 13 - 2018 SKILLS SYMPOSIUM EARLY BIRD DEADLINE!